Coilhouse » Blog Archive » How Will YOU Celebrate Squirrel Appreciation Day, 2012? 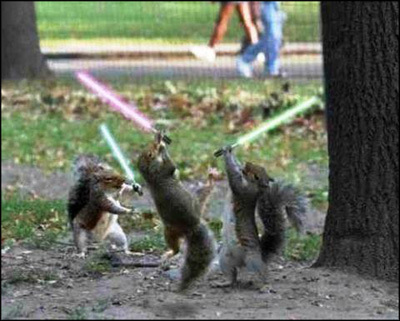 How Will YOU Celebrate Squirrel Appreciation Day, 2012? For three whole years now, January 21st has been officially recognized as Squirrel Appreciation Day. This momentous occasion offers us the perfect excuse to revisit a somewhat more time-honored form of squirrel appreciation, namely “Gonads and Strife“.